1) Item was made of High-efficiency LED chip, 100,000 hours lifetime. Super Bright that can see 280 meters object. 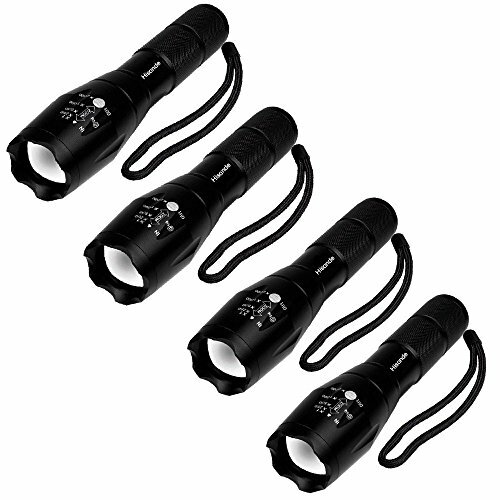 2) 5 mode outputs, , suitable for outdoor camping, hiking...etc. 3) Adjustable focus range for different usage, stretching to adjust its focus. 4) Durable aluminum alloy material and ultra clear convex lens. 5) Safe and water resistant level of IPX-6. Works in heavy rain. 6) Internal wiring applies the high efficient booster circuit, working voltage is wide and can utilize the batteries in the largest extent. If you have any questions about this product by Hisonde, contact us by completing and submitting the form below. If you are looking for a specif part number, please include it with your message.